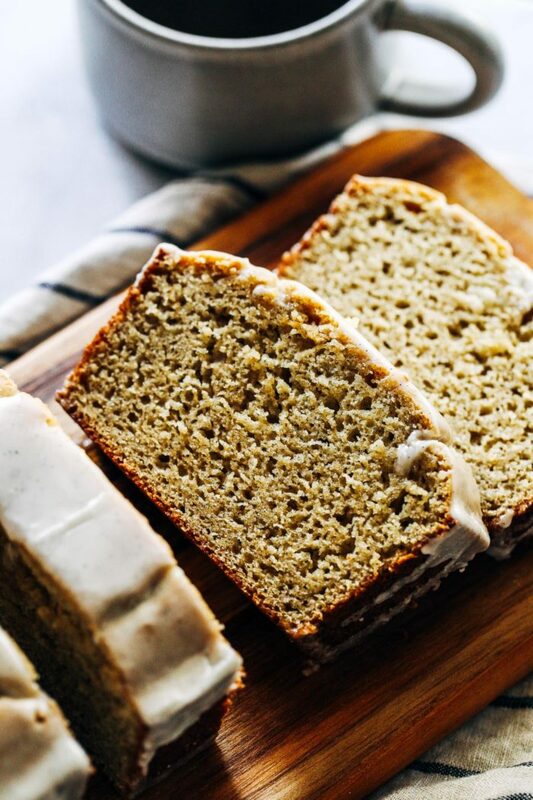 Almond Flour Cardamom Cake with Vanilla Bean Icing- soft buttery cake flavored with ground cardamom and an irresistible vanilla bean icing. Dairy-free and gluten-free! Remember when I said last week that I’ve developed an obsession with cardamom? It’s because of this cake. 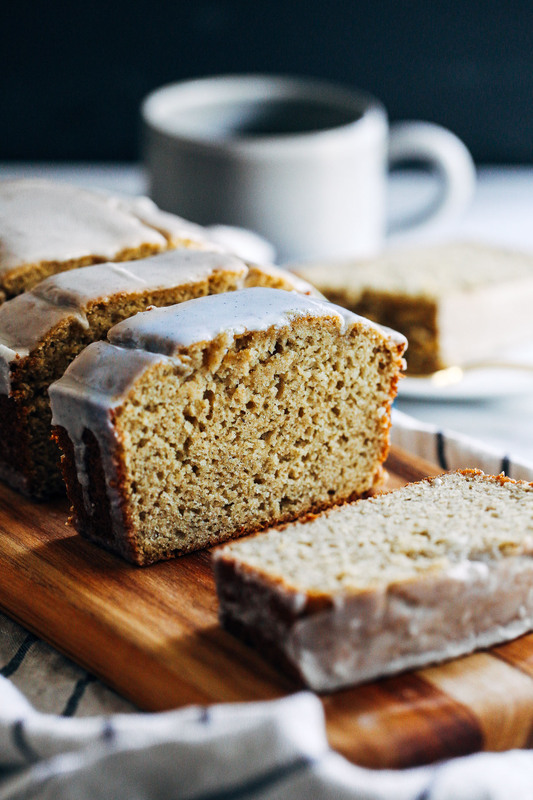 The buttery texture, the hint of citrus and spice, the sweet vanilla bean icing. You guys, it is SO good. I didn’t realize I was so fond of baking with cardamom until I had muffin on our recent road trip. The spice hit my tastebuds and I instantly felt all cozy inside, like it was a big soft blanket wrapping itself around me. I left with a mean craving for one of those cardamom muffins and knew I had to recreate something similar as soon as I got the kitchen set up in our new home. I used my go-to whole grain and gluten-free flour combination: organic brown rice flour and my favorite, Bob’s Red Mill Almond Flour. I frequently get asked what the main difference between almond flour and almond meal is so I thought I would take a second to explain. Almond meal is usually made from ground almond with the skin while almond flour is made from those without skin. I prefer to use almond flour in my cakes and muffins because it’s finely ground and it’s gives them the most delicious buttery texture. It’s also high and protein and low in carbohydrates, making it a healthy swap for traditional baking flours. You see all those beautiful specks in the icing? That’s fresh vanilla bean, my friends. Oh so good. I don’t buy them often because of how expensive they are but it really gives this cake an extra flair that makes it worthy of the holidays. That said, you can substitute vanilla extract or vanilla bean paste, if desired. 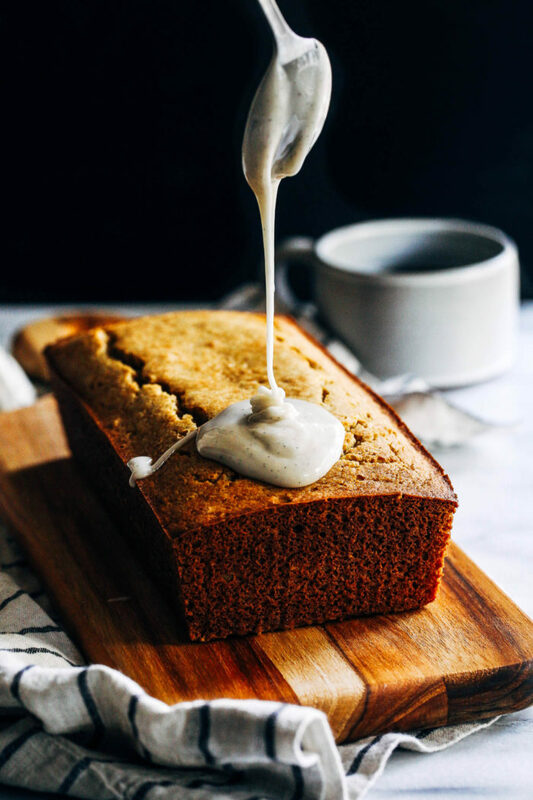 If you haven’t tried baking with cardamom, I hope this encourages you to give a chance. It’s perfect for winter and I have a feeling you’re going to love it as much I do! Preheat the oven to 350°F then lightly grease a loaf pan. In a large bowl, combine the almond flour brown rice flour, cardamom, baking powder, baking soda, and salt. Stir together then set aside. In a blender, combine the eggs, almond milk, yogurt, maple syrup, vanilla extract and oil. Blend on high for 30 seconds, until frothy. Pour the contents of the blender into the bowl with the dry ingredients. 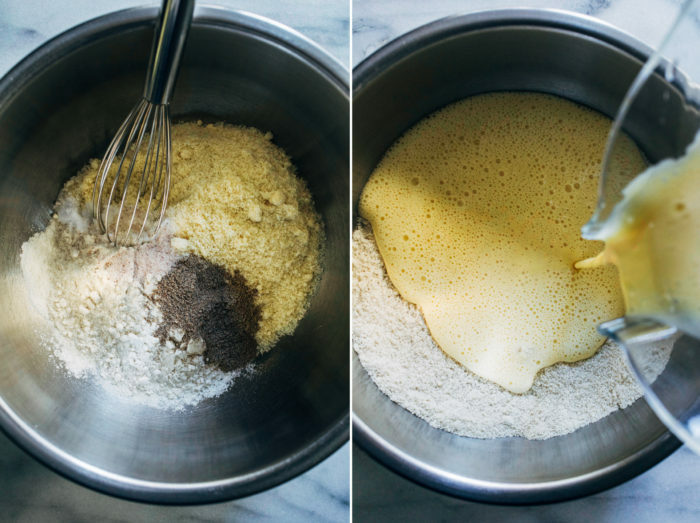 Using a spatula, fold the wet ingredients into the dry until just combined. Careful not to over-mix. Transfer the batter to the loaf pan then bake in the preheated oven for 30 minutes. Allow to cool for at least 15 minutes before removing from the pan. Top with icing, serve and enjoy! To make icing whisk together 1 cup organic powdered sugar with 1 tablespoon almond milk in a small bowl, until smooth. Add scrapings of one vanilla bean pod (or 1/2 teaspoon vanilla extract) and stir together. Pour over the top and allow to set. *You may want to use less depending on how fresh your ground cardamom is. If it’s very fragrant, start with 1 teaspoon. 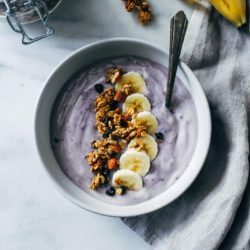 **I have not tested the recipe with dairy yogurt so I can’t confirm if it works the same as non-dairy. 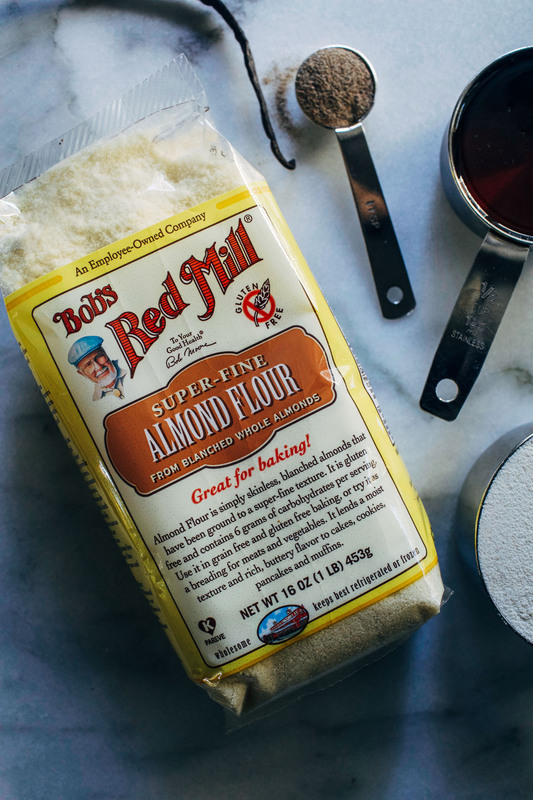 This post was created in partnership with a brand that I have used and loved for years, Bob’s Red Mill. As always, all opinions and text are entirely my own. Thank you for supporting the brands that help make it possible for me to bring you quality content. For more delicious recipes and a coupon for $1.00 off any product, please visit Bob’sRedMill.com. Disclosure: Making Thyme for Health is a participant in the Amazon Services LLC Associates Program which is an affiliate advertising program. This means that if you click an Amazon link and make a purchase, we receive a small commission, at no cost to you. Thank you for supporting this site and allowing me to bring you quality content! I made this yesterday and it is phenomenal!! The texture is perfect!! 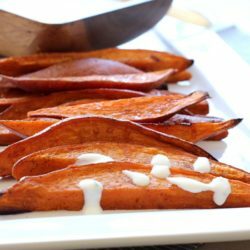 So quick and easy and without any weird gums or starches!! 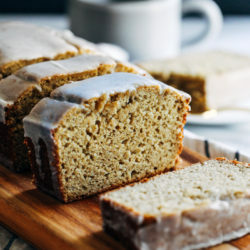 :) Being GF, it is really hard to find good bread recipes, but this is my favorite by far!! Thank you so much Sarah!!! I am totally making this! I just need to buy a couple ingredients. Might give it a try this weekend. OMG, David and I LOVE this bread! It smells and tastes amazing! I only did half the glaze since I’m not big on sugar but it was so tasty! I had to bake it for 35 minutes but it came out excellent. I’m going to make it again next weekend for a dinner party I’m having. This is perfect timing. I’m having some people over for soup and salad Saturday and need a simple dessert that is gluten free. And, one person doesn’t care for chocolate – I know – really? This sounds lovely and I’ll have some ice cream on the side (ice cream is always my back up in case I mess up a new dessert! :) ) I like it because it sounds delicious and looks easy – a great combination! I LOVEEEE baking with cardamom! It totally is so warm and cozy! I usually just make muffins but I sooo need to make myself a cake! This sounds amazing! I love cardamom and I bet it brings so much flavor to this loaf+the vanilla bean! Oohhh yes, I could def go for a slice right now. . This looks delicious, as usual! I also definitely did not know the difference between almond meal and flour. Thanks! Look at you getting all fancy with fresh vanilla bean! 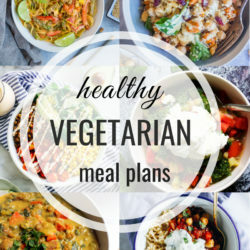 This looks so delicious, and I’m hungry for lunch so I’m pretty much drooling on my computer screen right now. Ha. I don’t usually bake with cardamom either, but you’ve convinced me that I need to! I hope you’ll try it sometime because I think you’ll love it!! What can I use in place of the Chosen Oil? Hi Linda! You can use whatever oil you typically bake with! Olive oil, sunflower oil, melted butter, coconut oil, etc. If you use coconut oil I would add it in to the bowl last, rather than add it to the blender because it will solidify. I second MelissaD! A little exotic but cozy and lets you sink right into fall. Cardamom is also great in tea, but make it at home if you don’t have a place besides Starbucks because they’re extremely heavy handed with it. Cardamom tea sounds wonderful! Thanks for the tip, Darin! I can totally smell this bread, Sarah! And just look at the crumb… perfectly tender, moist and packed with flavor. 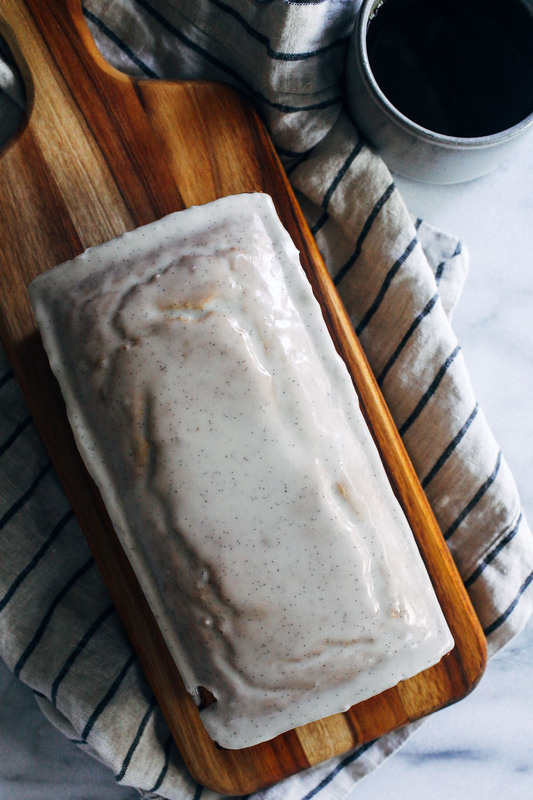 I’m all heart eyes over those vanilla beans too… SO delicious. I’m a late comer to Cardamom too… just about three years ago, I experienced my first taste, in a cookie. I was undone. So I understand your sentiment about being wrapped in a blanket. It’s WONDERFUL! Delicious work, Sarah! This was delish!!! I used a scale for my flours, and used Alice Medrich’s Flavor flours measurements – 100g of Almond flour and 135g of Bob’s brown rice flour. I have had many fails going gluten free, and this has been a lifesaver!!! I look forward to making more from your site. Thanks for all your hard work Sarah! It just came out of the oven and love it! I substituted the Bob’s white rice flour since I already had it and put a very thin layer of the icing with the back of a spoon and it was perfect. Im thrilled to have this with my cuppa this evening. Thank you! Sorry it didn’t work out for you! I’m not sure why you had to add more flour but it’s possible the baking soda taste is from the type of baking powder you’re using. I always use aluminum-free baking powder to avoid that taste. Can coconut flour be substituted for the brown rice flour? I’m looking to lessen the carb count? Hi Miriam! Coconut flour is much more absorbent than brown rice flour so my suspicion is that it wouldn’t work the same. If you decide to try it you may want to add a few more eggs. Can i sub out the rice flour for more almond flour? Hey Emily! I’m sure you could but you would probably have to use some kind of starch to help bind it together. 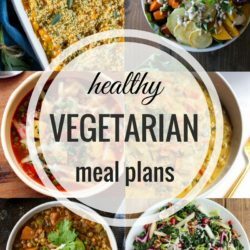 Are you trying to make it grain-free? If so my friend Julia is the queen of grain-free baking. 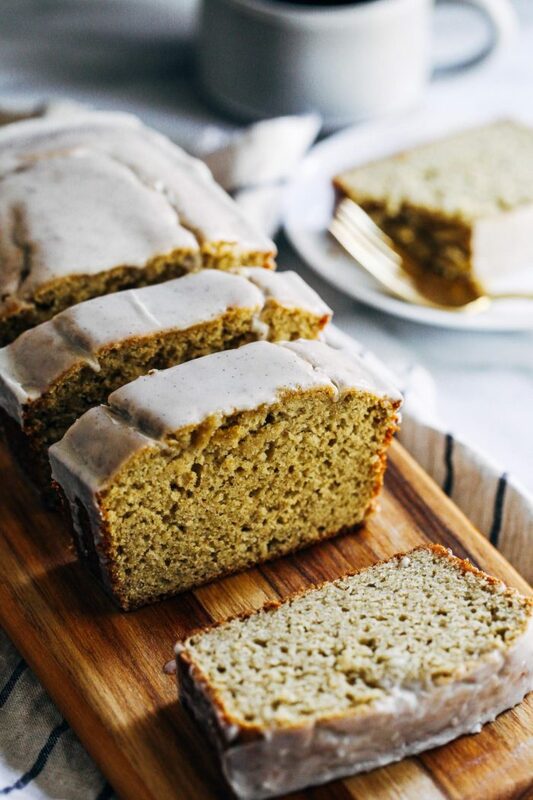 You could probably use this recipe: https://www.theroastedroot.net/paleo-almond-fig-quickbread/ and make it similar to mine by leaving out the figs and using cardamom. I hope that helps! I wonder, would using tapioca flour as a replacement to for the rice flour work? It might but I haven’t tried it so I can’t say for sure! Could I use all brown rice flour without the almond flour? Or sub another kind of flour like coconut instead of almond? Hey Kendra! Unfortunately this recipe needs almond flour in order to work. It provides moisture and balances out the dense texture of the rice flour. 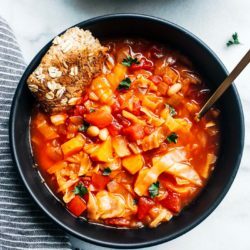 If you aren’t able to use it then I would recommend searching for a different recipe that has the ingredients you need and then just modify the flavor profile to match this one. Hopefully that makes sense! I’m not sure what I did wrong. First it was not anywhere near done at 30 min, so I baked for 40 min. Apparently it was still not done as I set it out to cool and it completely collapsed and still was not done in the middle despite being golden brown on the outside. I’m so sad, I was counting on it for a Christmas eve dinner. I sampled the part that was done, the flavor is great. I’m so sorry it didn’t work out for you, Laura. Was there anything you changed? Did you substitute any of the ingredients for something different? For my oil, I used avocado oil and I used regular dairy yogurt. Otherwise everything was the same right down to the brands you used. It sounds like it was most likely the dairy yogurt that was the culprit. I assumed that it would work the same as regular yogurt but dairy is much more acidic so that could have interfered with the leavening agents. Unless your baking powder/soda was bad. That’s the only other possibility. I’m so sorry I said that it would work without testing it! I feel awful that it didn’t work out. I will make sure to change that in the notes. If by chance you wanted to remake it I would recommend trying it with a non-dairy yogurt to avoid the acid. Hello, this sounds so delicious, thank you. Can I use 1/4c coconut sugar in lieu of 1/2c maple syrup? If so, do I add 1T more almond milk? I will be using metal square pan so should the oven temperature be decreased? Thank you. Just want to say I’ve made this with kefir/buttermilk and subbed other flours for the rice flour and it was gooood! I added a little more baking powder though, which helped.